The number of health professions education programs continues to increase across the United States and globally, but unequal access to healthcare remains a pressing issue. Health professions education has shifted from a first-generation approach, centered on didactic teaching, to a second-generation approach, centered on problem-based learning. In a Lancet paper, Frenk and colleagues argued for the incorporation of a transformative paradigm within health professions education facilitating the move towards the third generation of health professions education. Drawing on Mezirow and Freire, they argued for the incorporation of a transformative paradigm to improve health professions education by better aligning medical education and population needs. This chapter examines how a transformative approach to health professions education could be implemented and where it would be most effective. It also looks at how a transformative paradigm within health professions education could provide an additional lens to understand health disparities, structural inequity, and diversity. The number of health professions education programs continues to increase across the United States and globally. As of 2018, the Foundation for the Advancement of International Medical Education and Research lists 37 US-based masters programs that focused on health professions education. These programs are situated in colleges of education, medical schools, and health science programs or in partnership across colleges and schools. The goal of these programs is to teach health professions educators core educational principles that provide practitioners with the knowledge necessary to integrate adult learning principles within their educational practice. The field of adult education can play a role as it investigates theoretically grounded approaches to teaching and learning and informs adult education practice. Medical education researchers have begun to look critically at the structure of health professions education and some have discussed the benefits of integrating adult educational principles in health professions education. This includes grounding medical education programs in adult education theory in order to provide a robust educational experience for students (e.g., Kaufman, 2003; Taylor & Hamdy, 2013). One theoretical approach that has been gaining prominence is transformational learning (Mezirow, 2000). The implementation of a transformative learning approach would shift the focus from didactic teaching and learning to one that is focused on critical reflection and interpersonal engagement. In addition, an emancipatory approach to transformational learning, drawn from Freire’s (1970) theory incorporates health professions education within a wider framework of equality and social justice, thus moving the focus away from a focus on more mechanistic aspects of skill development. 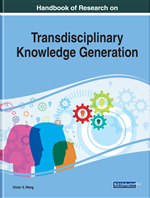 Transdisciplinary theory has been applied to health disparities as complex health issues require multiple lenses in order understand the problems and identify effective solutions (Gelhert, 2012). In order to successfully address health disparities, a multi-faceted approach that includes clinical, social, and structural components is needed. This requires individuals who can work effectively together across disciplines. In order to develop a cadre of people who can engage across disciplines, it is essential to design learning environments that move beyond didactic, passive learning and foster spaces where individuals can think critically about content. Embedding learning experiences within a transformative paradigm and implementing principles of transformational learning will aid in the development of practitioners and researchers who can more effectively work across disciplines by valuing alternative perspectives, research and evaluation methods. This chapter provides a deeper look at how transformational learning can be applied to health professions education programs and how it can influence individual paradigms and practice. Paradigms: Basic belief systems that inform an individual’s worldview. Disorienting Dilemma: Occurs when an individual is provided with or experiences disconfirming evidence that offers an alternative perspective and causes this individual to question deeply held beliefs. Health Professions Education: Consists of programming that provides educational experiences for those who engage in the study, diagnosis, and treatment of human illnesses and includes but is not limited to, doctors, nurses, public health workers, nutritionists, and midwives. Emancipatory Education: Defined as educational experiences designed to foster the development of the learners so they may identify and work to change oppressive systems within their societies. Positivist Paradigm: Refers to the concept that there is one objective knowledge that can be understood through scientific reasoning and logic. Transformational Learning: Defined as learning experiences that causes a disorienting dilemma in an individual thus causing them to reconsider deeply held beliefs and a shift in in perspective. The term transformative learning is also used to describe this process. Critical Consciousness: Originally explicated by Paulo Freire, a person develops critical consciousness when they utilize a critical perspective to examine societies and societal systems that are oppressive and are unjust to socially disadvantaged populations.